If you're just getting set up in productboard, you'll want to load in existing research and user feedback. If you're just looking to perform a one-time import from a CSV or spreadsheet, use the Import notes feature on the Insights board. But if you're looking to automatically import new notes whenever a new row gets added to a spreadsheet (e.g. representing an incoming survey result), you can use Zapier in combination with Google Sheets! We'll detail this workflow below. Zapier is a helpful tool for creating simple recipes ("zaps") for sending data from one system to another. Start by formatting your data so it will be easy to map to the fields in productboard. Now let's get set up in Zapier. 1. Sign in to Zapier. If you don't already have an account, set one up at Zapier.com. 2. Ensure data is properly formatted (see above). If your data isn't already in Google Sheets, import it into a new sheet now. 3. Set up your zap: Using this zap template, configure your new zap. 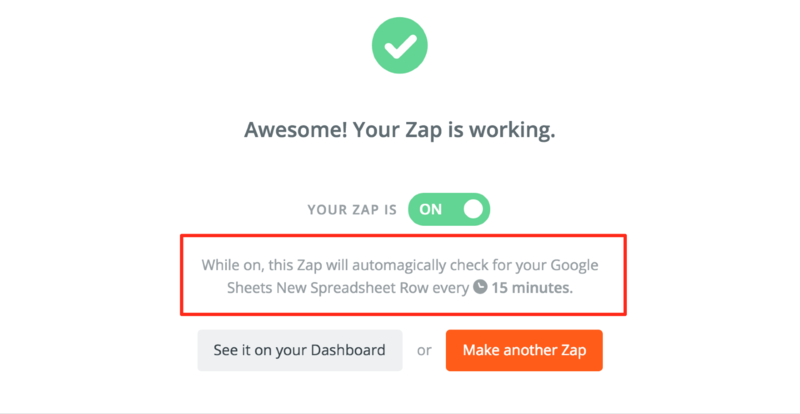 Zapier will ask you to authorize access to your Google account and identify which spreadsheet/worksheet you'd like to pull data from. After connecting your productboard account, you'll be prompted to begin mapping productboard's data fields to the data columns in your sheet. If you've already formatted your data according to the directions above, this part will be easy. Make sure to select Show advanced options to display all available fields! If there any fields you would not like to map dynamically, but would instead prefer that the value remain constant for all new notes created, you can enter that constant value in place of selecting a spreadsheet column (or for a non-required field, leave it blank). Want to route different notes to different owners based on an existing data field? Under Note Owner select Use a Custom Value (advanced). Sit back and watch your new notes stream onto your Insights! Want to customize the zaps linked above? Create a zap of your own!